MANILA, Philippines - Kyle Echarri performed One Direction hit song "Night Changes" during the premiere episode of the blind auditions of ABS-CBN's top-rating and Twitter-trending singing reality show 'The Voice Kids' Season 2 Philippines aired on Saturday, June 6, 2015. 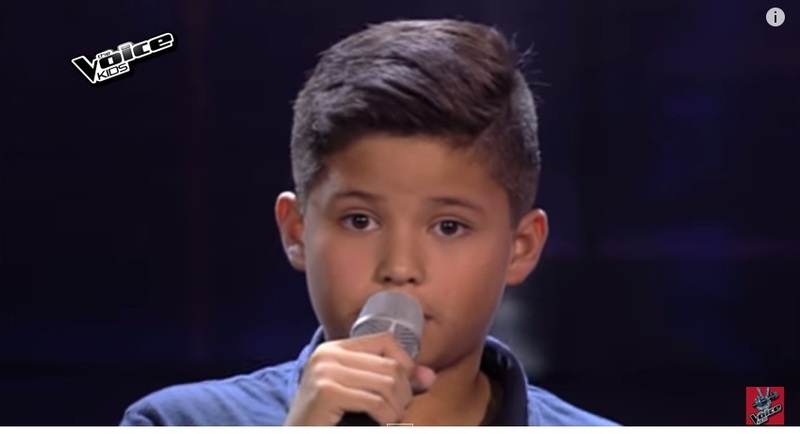 The 11-year old singing football hearthrob from Cebu City impressed the judges Sarah Geronimo and Bamboo Mañalac. Echarri was convinced by Coach Sarah. When asked why he chose Team Sarah, Kyle said he knows Coach Sarah more than the rock icon. The coaches opened the show as they sang "Start of Something New" from the High School Musical. The superstar coachers and performers will continue to search for the for kiddie artists with big voices on Sunday (June 7) and on the following weeks. The new season follows the format of the second regular edition of The Voice Philippines which consists of Battles, Sing-offs and Live Shows. The pilot episode of 'The Voice Kids' Season 2 dominates online conversations with '#TheVoiceKids2PH' among the trending topics.